U.S. President Donald Trump has banned all Americans with a decree trade and acquisition of the Venezuelan crypto currency Petro. The aim is to prevent the sanctions against Venezuela from being circumvented. Venezuela has a problem. Despite huge oil reserves, the country is running out of foreign exchange thanks to years of mismanagement and international sanctions. At the end of last year, President Nicolás Maduro had the brilliant idea: Venezuela could use the current crypto-boom to attract foreign capital. As early as January, the government presented a white paper for a state crypto currency called Petro, whose exchange rate is said to be linked to the price of oil. On February 20, it started the advance sale of 38.4 million of a total of 100 million coins. The government allegedly earned 735 million US dollars. However, no bookings in the NEM blockchain (Petro is based on the crypto currency NEM) can prove the alleged advance sale, as the blog “Caracas Chronicles” close to the opposition noted. Nevertheless, the American government is apparently afraid that Venezuela might succeed in circumventing the US sanctions against the country. That is why Donald Trump signed a decree on March 19, the day before the ICO des Petro, banning Americans from trading and acquiring the crypto currency. 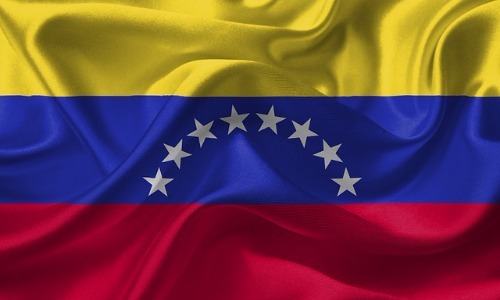 Future digital currencies of the Venezuelan state such as the gold-backed Petro Oro, announced by Maduro in February, are also covered by the decree. The background to the US sanctions against Venezuela is the fear that Maduro wants to establish a dictatorship. In the middle of last year, for example, the Venezuelan president had a constituent assembly elected to reform the constitution in his favour, bypassing the democratically legitimised parliament. The United States reacted by freezing US assets of Maduro and other government officials. When this did not help, the US tried to exclude the Venezuelan state from the American financial market: At the end of August 2017, President Trump issued a decree banning all Americans from acquiring Venezuelan government bonds.